The file named XLVINTL.DLL_1049 is developed by an unknown developer. The program is not a known DLL file. Hence it is not associated with any particular software or other windows programs. It is confirmed to be a threat because of lack of security updates. The threat level of the said DLL file is 3. XLVINTL.DLL_1049 is located in c:\windows\system32. The total size and the latest version of the DLL is not known through the available records. Lack of information confirmed it to be a non-system process. Such processes have no direct impact on the performance of the Windows operating system and can be disabled without consequences. How to check if your computer is infected with XLVINTL.DLL_1049 malware? 2) Go to the process tab and right-click on the XLVINTL.DLL_1049 file and open its location. If the file is located outside c:\windows\system32, then you should take measures to get rid of the malware. 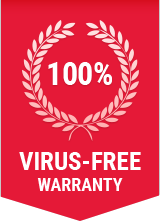 How to remove XLVINTL.DLL_1049 malware from system with Comodo Cleaning Essentials? Step 5: Comodo Cleaning Essentials will remove XLVINTL.DLL_1049 malware from your computer including all other malwares!